For those of you who have already taken the Sun Studio tour (or those about to), there’s one other thing you should do there. 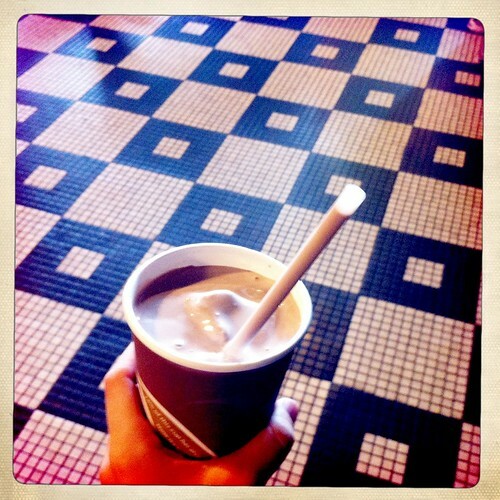 Complete assignment #240 in the 365 Things to Do in Memphis: order a milkshake in the Sun Studio lobby. The room where the museum’s lobby and store are currently housed counter where you buy your tickets to the museum serves as a soda fountain and their milkshakes and malts are some of the best in town. They come in three flavors: chocolate, vanilla and strawberry. Sun Studio is open every day from 10 a.m. – 6 p.m. You don’t have to tour the museum to get a shake. Originally published 2012. Updated September 2018.